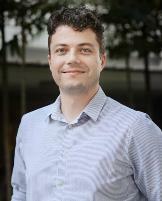 Dr Marek Rutkowski is Lecturer in Global Studies at Monash University Malaysia. He specialises in international history with a particular focus on the Cold War in Asia. Dr. Rutkowski received his PhD in History from the National University of Singapore in 2017. His dissertation analysed the role of international peacekeepers in Indochina in the 1950-60s in the period leading up to the Vietnam War, with the Cold War and decolonisation as a backdrop. His research is primarily empirical and archive-driven, looking at political processes in Asia from a historical perspective. His interests range from diplomacy and peacekeeping to development models and nation-building. Currently Dr. Rutkowski focuses on turning the dissertation into a book manuscript and embarking on a second research project looking at the Soviet Bloc’s encounters with Asia in the Cold War period in the areas of diplomacy, development and knowledge transfer. Separately, he has been involved in a two-volume book project on Western military powers in Asia in collaboration with scholars from US, UK, Australia and Singapore. While a lot has been written about Western modernisation efforts as a means of winning the Cold War in the decolonised world, few similar research projects have been undertaken with regards to the Soviet Bloc. This talk aims to reflect on the Cold War-era communist development efforts in the Third World through a case study of scientific knowledge transfer and developmental aid from Poland to North Vietnam in the 1950s. Behind the façade of communist internationalism, the study finds a few curious undercurrents that demonstrate that the quest for modernisation within the Soviet Bloc was not free from complications found in Western development efforts - conflicting national interests, enduring stereotypes and the complicated relationship with colonialism. Ruhizal Roosli is a Senior Lecturer at the School of Housing, Building and Planning at Universiti Sains Malaysia, having received a BSc in Housing, Building and Planning from the same institution; Advanced Diploma in Peace Operations and Crisis Management from Institute for International Political Studies, Milan; PGCert in Shelter & Settlement in Emergencies from IFRC/Oxford Brookes University and PhD in Housing Studies from Northumbria University, UK. Currently, he is a visiting researcher at Monash University. He has published extensively in the areas of disaster and development. Post-disaster reconstruction is a complex process and highly demanding that involves a number of different and well-coordinated courses of action. Therefore, it is vital that these complex activities are well planned, subject to thorough consultation and undertaken after effective collaboration with the widest range of members of the affected communities especially among International Non-Governmental Organisations. Learning from the issues and challenges related to past project management practice in Post-Disaster Reconstruction (PDR) projects is a start to understand the best practice suitable for better implementation of PDR project. 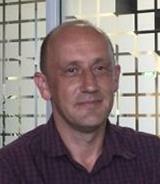 Adrian Athique is Associate Professor of Cultural Studies at the University of Queensland. He is the author of several books on Asia, the media and the digital including The Multiplex in India: A Cultural Economy of Urban Leisure (Routledge, 2010, with Douglas Hill), Indian Media: Global Approaches (Polity, 2012) Digital Media and Society (Polity, 2013) and Transnational Audiences: Media Reception on a Global Scale (Polity, 2016). He is also editor of The Indian Media Economy (2 Vols, OUP, with Vibodh Parthasarathi and SV Srinivas) and, most recently co-edited Digital Transactions in Asia: Social, Economic and Informational Exchanges (Routledge, 2019) with Associate Professor Emma Baulch, Monash University Malaysia. In 2017, the number of Internet users in Asia surpassed those in the rest of the world combined (at 1.9 billion). The same is true of the mobile domain, with almost 4 billion phone subscribers in Asia, making more than half of the global total. In this talk, I consider the digital transactions through which cultures and societies are being enacted across the region. Taken in the narrow terms of finance capital, digital transactions leads us to think of the recent interventions of the Indian government in trying to impose a cashless society through demonetization. We might also think of the economic and political transactions through which Asia’s political leaders have become enveloped in the disclosures of the Panama Papers and 1MDB affair. It is my contention, however, that we need to think of informational exchanges and social communication as being transactions in a much broader sense, for transactions imply certain relations of participation that remediate social relationships. We can think of the practice of e-government as recasting the everyday encounter between citizens and state. When we consider the contours of popular culture and the conduct of interpersonal relationships, we can begin to discern the ways in which digital platforms are enabling, shaping and commodifying new forms of sociability. In this larger sense, the field of digitization in Asia today expresses the force of social change through a vast series of digital transactions. Currently, Dr. Tiew Kian Ghee is a Postdoctoral Research Fellow at South China University of Technology, China. His research focuses on urban plastic waste management in Guangzhou and Shenzhen cities especially food delivery, which involves massive use of plastic packaging. In 2016, Dr. Kian Ghee received his PhD degree in environmental engineering from the National University of Malaysia, Universiti Kebangsaan Malaysia (UKM), funded by a scholarship awarded by the Ministry of Higher Education, Malaysia. In 2016-2018, Dr. Kian Ghee worked as a Postdoctoral Research Fellow in the Faculty of Engineering and Built Environment at UKM. His research focused on sustainable campuses, especially the development of a comprehensive and cost-effective system of solid waste management on campus. He contributed towards the development of a solid waste recycling management model for Malaysia based on community recycling behaviours and waste composition studies. Dr. Kian Ghee is also involved in the areas of integrated solid waste management and environmental sustainability development for more than 10 years, where his research cut across multiple disciplines, including water resource management, climate change, disaster waste management, and community recycling behaviors. His research requires him to engage with international and national stakeholders and communities. In 2011, he won the first prize of UNESCO’s E-Learning Program <Asia Sustainable Energy> Essay Competition jointly organized by UNESCO Jakarta and Sustainable Energy and Environment (SEE) Forum. With over 30 academic articles published and 15 public talks on related topics, Dr. Kian Ghee is proven to be well-trained on a wide area of topics, including urban climate change, sustainability and world heritage protection. The market demand for plastics is tremendous across the world. The durability and multi-functionality of plastics are two main reasons plastics are widely used in various industries, such as packaging, electrical and electronics, household, automotive, construction, agriculture etc. Suffice it to say, plastics are everywhere. In 2018, imported recycling plastic wastes became a hot issue in Malaysian. It is increasingly clear that plastic wastes from western countries meant for recycling have diverted to Malaysia as the result of an import ban by the Chinese government. The excess of imported plastics for recycling in the country had caused pollution to the environment due to a lack of proper storage of these plastic wastes. In order to resolve this issue, the Malaysian government had tightened the import of plastic wastes in response to a series of serious environmental pollution recently uncovered in the Kuala Langat area. The banning of single-use plastic wastes could be a good start. However, on its own, the ban is grossly inadequate and therefore, it is not a long-term solution. Some researchers suggested several solutions in addressing this problem, such as, increasing tax incentives and rewards policies, implementing buy-back schemes, improving the recycling infrastructure and innovation of reusable plastic products. Unfortunately, Malaysia still lacks a comprehensive policy that regulates the plastic waste recycling industry. Therefore, this talk will share current solid waste management practices in Malaysia, the fundamental information about plastics wastes, and the outcome of a survey on Malaysian recycling behaviours. In addition, this talk will discuss whether the banning of plastic wastes is a sustainable and long-term solution. “Marriage in Motion: Stories from Penang across Multiple Generations"
Janet Carsten is Professor of Social and Cultural Anthropology at the University of Edinburgh. Her published work has focussed on kinship, domestic relations, gender, historical migration, the house, adoption reunions, childhood, and memory. Her most recent completed project has been on ideas about bodily substance, and the interface between popular and medical ideas about blood in Malaysia and Britain. She is currently PI on a new comparative project, ‘A Global Anthropology of Transforming Marriage (AGATM), funded by an ERC Advanced Grant. 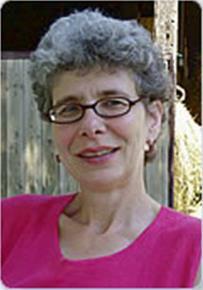 Janet Carsten is a Fellow of the British Academy and of the Royal Society of Edinburgh. What does it mean to marry, to become or to be married, or to stay married – or not - over many years? How do women and men reflect on these different states and experiences? How are marriages located in a particular place and at a particular historical moment? How do they reflect continuity or rupture between generations, and connections and disjunctions between the personal, familial, and the wider social and political setting? This talk aims to reflect on these questions, and others, through an overview of a currently ongoing research project on changing middle class marriage in Penang. 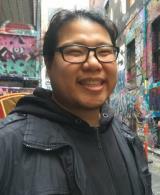 “Enjoy watching scum die”: Online observations on desires for violent retribution through the Malaysian death penalty"
Benjamin Loh is a media scholar and the current senior research fellow at the DAP parliamentary research office. 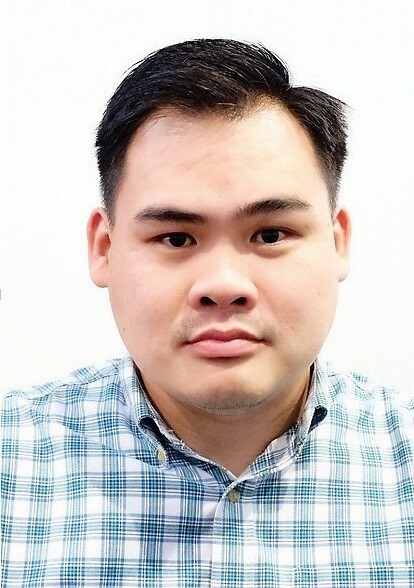 He has had a varied background with a Bachelor’s in Computer Science from the University of Malaya, both a Media Studies and Southeast Asian Studies Master’s from Ohio University, and has received his PhD in Communications and New Media at the National University of Singapore. This diverse academic history allows Benjamin to explore the confluence between media and technology and how they influence society and cultures at large. Through his published articles and earlier academic work, he has explored issues such as recreating physical spaces in online video games and using media to understand class and social structures. His PhD research looks at how pirated media affects how regular people make sense of their media and how it affects their use of it. By understanding how Malaysians make sense of their use of media, Benjamin believes that will reveal better insights into contemporary society that will eventually bridge the digital divide of privilege. 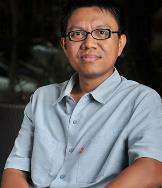 His current work focuses on the state of the media in New Malaysia and emphasizes media reforms. In October 2018, the Minister in the Prime Minister’s Department for Law, Datuk VK Liew, announced that Malaysia would be abolishing the death penalty. The reception from the public has proven to be divisive with the majority of Malaysians indicating their disapproval over this move using various justifications of the merits of the death penalty. Justifications such as deterrent to crime, serving justice to aggrieved victims and their families, or just a plain desire to see criminals suffer for committing heinous crimes were commonly used. For the latter reason, Malaysians from all walks of life appear to support and expect criminals to be heavily punished for their crimes. In a discourse analysis of reactions posted online (through social media and online forums), a pattern emerges where people delight in schadenfreude at the suffering of people who are accused of crimes, often with little to no boundaries. Comments justifying the death penalty reflected a deeper need to satisfy a desire to see retribution for crimes committed. These comments were collected from online articles and forums that discussed the death penalty abolishment and other high profile cases at the time. This presentation will highlight some of these comments made in local online spaces and attempt to understand and rationalize why online netizens have developed this bloodthirst. Extreme opinions expressed through online media is cathartic and appears to be necessary and highlights why the terminal punishment is necessary to match their internal need for retributive justice. Authorised by: Marketing and Future Students. Maintained by: Monash University Malaysia Webmaster Team. Last updated: 16 Apr 2019.